Medicinal products to treat rare diseases are one of the main targets of pharmaceutical R&D, as they allow companies to enter niche markets with highly priced innovative products, where to maintain exclusive rights for 10 years. But when does an orphan medicine stop to be ‘orphan’?. The question comes directly from the European Medicines Agency (EMA), that at the end of January 2018 published the first of its new “Orphan Maintenance Assessment Reports” (OMARs). The new initiative aims to closely monitor the evolution in the life of a medicinal product which received the ‘orphan drug’ designation and has been finally recommended for approval by EMA’s Committee for Medicinal Products for Human Use (CHMP) under the specific regulatory framework applying to this type of medicines. The new orphan maintenance assessment reports – the first one relates to Merck Sharp & Dohme’s anti-viral drug Prevymis (letermovir) – will be published as a integral part of the European Public Assessment Report (EPAR). OMARs will discuss the “orphan” health condition and its severity, and will collect into a single document all the opinions – positive and not – on a certain product issued by the EMA’s Committee for Orphan Medicinal Products (COMP), also in the case the product would have been retired. The goal is to monitor how the diffusion of this health condition will vary with time, thus impacting the orphans status of the medicinal product. “The interaction with our stakeholders is a two-way street: they asked for more transparency, we listened to their needs and now we are delivering on our commitment,” explained Bruno Sepodes, the Chair of COMP. “Patients, as well as companies, will better understand the decision-making process once a medicine for a rare disease gets a marketing authorisation. And health technology assessment bodies (HTAs) might use this additional information when establishing the cost effectiveness of the medicine”. The high R&D investments made by pharmaceutical companies to develop new products to treat rare diseases are rewarded by the ‘orphan status’ designation and possibly by the access to quicker regulatory approval procedures, so that patients may rapidly access innovations. And, even more important, the status of orphan medicine entitles the marketing authorisation holder to obtain a 10 years exclusivity on the market. The definition of the ‘orphan status’ slightly varies between Europe and the United States. According to EMA’s criteria, in the EU the orphan designation can be applied to new medicines intended for the treatment, prevention or diagnosis of a disease that is life-threatening or chronically debilitating and that has a prevalence lower than 5 in 10,000, or if it is unlikely that marketing of the medicine would generate sufficient returns to justify the investment needed for its development. A further requirement specify that “no satisfactory method of diagnosis, prevention or treatment of the condition concerned can be authorised, or, if such a method exists, the medicine must be of significant benefit to those affected by the condition”. EMA’s COMP runs an assessment of the orphan status of drug’s candidates at the beginning of their development and before the final approval of the new product by the CHMP. But, as other new options of treatments might appear on the market during this time frame, the ‘orphan’ status of the candidate medicine might no longer reflect the above definition. In February 2018 EMA published a new Q&A document, “Rare diseases, orphans medicines”, to help people solve some common misunderstandings about orphan designation and the possibility to access orphans medicines. Among other points, EMA highlights that 66% of the applicants gained orphan designation for their medicines and received the incentives to support their development, but only 8% of the medicines have actually reached the market as orphan medicines. In the US, the Orphan Drug Act (ODA) represents the regulatory base for granting the status of ‘orphan drug’. According to the FDA’s Orphan Drug Designation program, orphans status is granted when the new product allows for “safe and effective treatment, diagnosis or prevention of rare diseases/disorders that affect fewer than 200,000 people in the U.S., or that affect more than 200,000 persons but are not expected to recover the costs of developing and marketing a treatment drug”. Several types of regulatory procedures are accessible to obtain approval for an orphan drug, depending on its specific target. The FDA’s Rare Pediatric Disease Priority Review Voucher Program, for example, is targeted to patients in the pediatric age, while the Humanitarian Use Device (HUD) program targets medical devices for the treatment or diagnosis of a disease or condition that affects or is manifested in not more than 8,000 individuals in the United States per year. There are approx. 30 million people in the United States living with at least one of more than 7,000 rare diseases, stated FDA’s Commissioner Scott Gottlieb in the occasion of the Rare Diseases Day, on February 28th. In his editorial on FDA’s blog, Commissioner Gottlieb said that more than 650 therapies for rare diseases have been approved by the FDA during its history, plus 72 medical devices for an orphan indication. In 2017 the Agency received over 700 requests for orphans designation, the double vs 2012, and approved 80 new treatments. The US’s Center for Drug Evaluation and Research (CDER) approved in 2017 18 novel drugs to treat orphan diseases (39% of total approvals); among these are the first new treatment for patients with sickle cell disease in almost 20 years and the first-ever non-blood product to treat patients with hemophilia A with inhibitors, according to the “2017 New Drug Therapy Approvals” report. Last year saw also the approval of the first treatments for adults diagnosed with giant cell arteritis and for the Batten disease, which can cause seizures, dementia, and a variety of other debilitating symptoms. 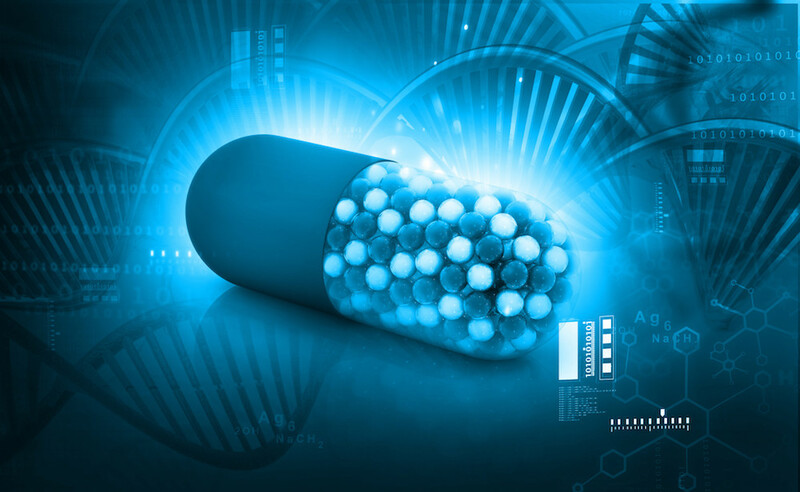 FDA’s Orphan Drug Designation Modernization Plan, launched in June 2017, innovated the regulatory approach and allowed the FDA to eliminate the backlog of orphan drug designation requests pending at the Agency. A 90-day timetable is now the US standard for processing new designation requests. FDA also established an Orphan Products Council to further address scientific and regulatory challenges related to orphan products. “Despite these successes, we recognize that thousands of rare diseases still have no approved treatments”, stated Scott Gottlieb. The increasing role of personalized medicine and genetic treatments shall also allow in future years to develop more specific therapeutic options for relatively more rare and ‘ultra-orphan’ diseases, affecting an extremely low number of persons. Commissioner Gottlieb also announced the intention to deeper understand the natural history (such as individual patient experiences and progression of symptoms) and clinical outcomes of rare diseases, through new models to be created using additional investments under the FDA’s 2019 budget. A new pilot for more efficient orphan designation requests, a new Memorandum of Understanding with the National Organization for Rare Disorders for a better inclusion of patients into discussions with the Agency and a public meeting to prepare for the changing landscape of orphan drug development are other top priorities of the US regulatory agency for this year. About 30 million people is also suffering from a rare disease in Europe, according to the patients’ association Eurordis, 75% of them are children. Most rare diseases (about 80%) have a genetic origin. According to the “Human medicines highlights 2017” published by EMA, 19 new orphan medicines received a positive opinion by the CHMP in 2017 (over a total of 92 products). Among these are Brineura, the first EU-approved medicine for neuronal ceroid lipofuscinosis type 2 (CLN2) disease, a very rare, fatal neurodegenerative condition in children, and Alkindi, a product for the treatment of primary adrenal insufficiency, a rare hormonal disorder in infants, children and adolescents. Other medicines which obtained approval for rare diseases included Oxervate, for the treatment of the rare neurotrophic keratitis of the eye, Qarziba for the treatment of high risk neuroblastoma, and Xermelo for the treatment of carcinoid syndrome. Qarziba and Brineura have been authorised “under exceptional circumstances”, using a regulatory procedure that allows patients access medicines that cannot be approved under a standard authorisation as comprehensive data on the product cannot be obtained due to the lack of a sufficient number of patients, the difficulty to ethically collect complete information on the efficacy and safety on the product, or the gaps in the scientific knowledge. These medicines are subject to specific post-authorisation obligations and monitoring. Two new orphans medicines have also been recommended by the CHMP in its February 2018 meeting: Amglidia (glibenclamide), for the treatment of very rare neonatal diabetes mellitus in newborns, infants and children, and Mylotarg (gemtuzumab ozogamicin) for the treatment of acute myeloid leukaemia in patients aged 15 years and above. A further element that might impact on the choice of companies sponsoring the approval of new medicines for rare disease is represented by the differences observed in the time to reach approval and on its specific contents between the main regulatory areas. These have been recently examined in a paper published in the European Journal of Clinical Pharmacology, which analysed 134 new drugs approved from 2007 to 2016 by FDA, EMA and Swissmedic (SMC). Almost the two thirds of them reached first approval in the US, another third in the EU and just a minority in Switzerland (3,0%). Approved new medicines were mainly antineoplastic and immunomodulating agents, followed by alimentary tract and metabolism drugs and anti-infectives for systemic use. EMA required a medium time of 5,4 months for approval, FDA 8,6 months, both lower than Swissmedic. Almost half of the approved medicines showed differences in strength between the different agencies. Much significant are the differences observed in the approved indications, which occurred in 76,9% of cases; indications differed in 73,1% of new drugs approved by FDA and EMA, 64,9% with respect to SMC and FDA and 43,3% between SMC and EMA. In general terms, the Swiss regulatory authority demonstrated a more restrictive approach, and the sum of the two European representatives approved indications different that the ones approved by the FDA in 27,4% of cases. Observed differences relates to disease class, previous failed therapy, inappropriate alternative therapy or use in combination or monotherapy. Pediatric indications, something often relevant with respect to orphan medicines, occurred for 25 (18.7%) of the approved drugs.